I freely admit I was probably one of the last holdouts on Instagram, finally caving to the peer pressure at the start of the year. While there are still some photos that aren't suited to its "must be square" requirements I will admit that playing with the effects is fun. Whether it makes the photo look more like I actually saw it or improves it depends on factors that are far beyond my amateur photo taking knowledge. See for yourself. 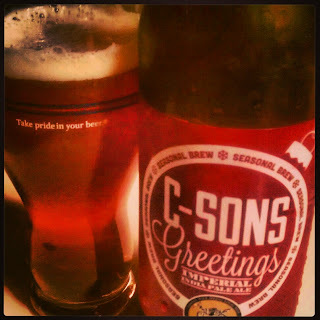 Lompoc C-Sons Greetings on the kitchen counter. The Commons Boysen at Belmont Station. 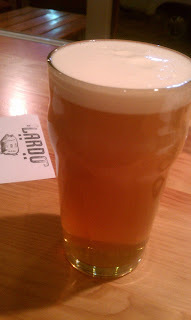 Oakshire Watershed IPA on nitro at Lardo. Lardo has made great strides in the last year going from a food cart to opening a brick and mortar location in SE and then opening a second location in downtown. Not content with "just that" the SE location has hosted multiple events for lovers of beer and all things pig. Yesterday they held a day-long Swine & Barley Wine Fest to celebrate the 144th birthday of Grigori Rasputin, "The Mad Monk." The event started off with a beer and cheese pairing by Steve's Cheese and North Coast Brewing. It was billed a trio of pairings for the very reasonable price of $15. Doug, a North Coast rep, was on hand and acted as the gracious host while the last minute preparations were made before the tasting began. 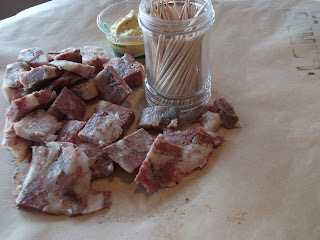 We were also treated to their house made head cheese, a delicious start to the event. 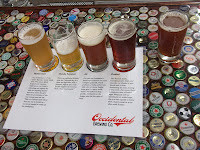 It turned out there were not three, but four pairings and the beer pours were generous. The cheeses were served family style, opening the door for exchanges about the pairings. 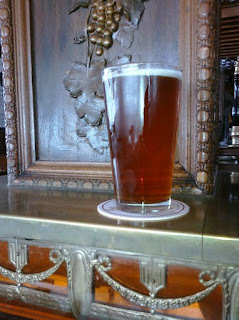 I agreed with one of the other attendees that Acme IPA paired with Cowgirl Creamery Mt. Tam and the Old Rasputin on nitro paired with Epoisses de Bourgogne were the most successful pairings. The intense creaminess of the Mt. Tam, a triple brie, worked surprisingly well with the hops in the Acme IPA. 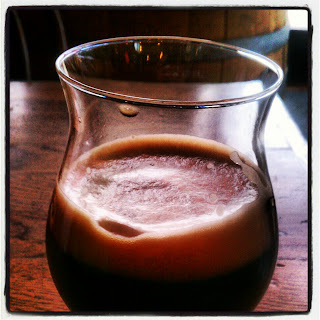 Most delicious to my palate however was the way that the Old Rasputin on nitro, with its dry, coffee and dark chocolate flavors, brought out the barnyard characteristics of the cheese. PranQster, a Belgian golden, is not a style I generally enjoy and I found the pairing with Neal's Yard Dairy White Cheddar to be improved with the addition of a bit of honey on the cheese. Both the Old Rasputin XV and the Wilde Wiede Gouda were tasty on their own but I would have preferred a more assertive cheese, perhaps a blue, to stand up to this big, barrel aged 11.9% beer. 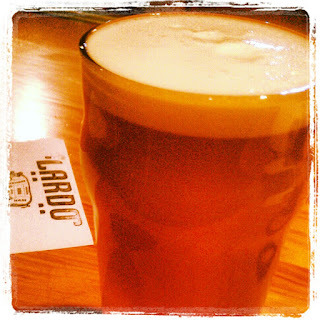 Overall, it was a great first beer and cheese pairing event for Lardo. General Manager, Lucas, hinted that there may be more in the future...I sure hope so! 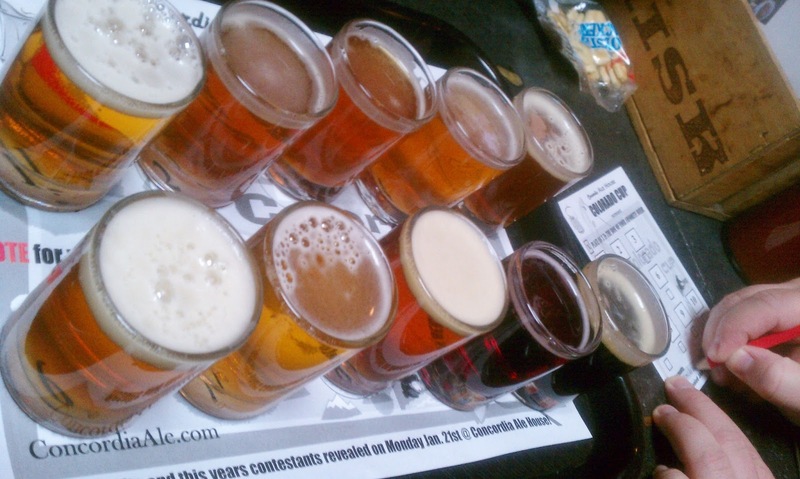 This week Concordia Ale House is holding their Colorado Cup to determine Colorado's Captain for Beer Brawl VI which will take place in February. The 10-beer taster try included multiple styles, my guess being IPAs, pale ales, a porter and one that had some fruit in it. My favorite of the group was #8 followed by #1. Mag's tastes didn't overlap mine with is top two being #5 followed by #4. I was also tipped off that #1 was a New Belgium product but I won't spoil the unveiling of the results by giving you more than that. If you haven't been, you have until Sunday evening to get your own taster tray. As always the results should hit your inbox Monday. Until then if you go I'd be interested to hear your favorites and any guesses you might have on the beers' identity. Update: In case you didn't get the email with the results, here they are. Clearly I'm not very good at guessing. In my last post I finished up by telling you about the best $.50 you can spend, on a bottle opener that wouldn't damage the caps. Yesterday the bottle opener Mag ordered arrived in the mail. It's pretty cool. 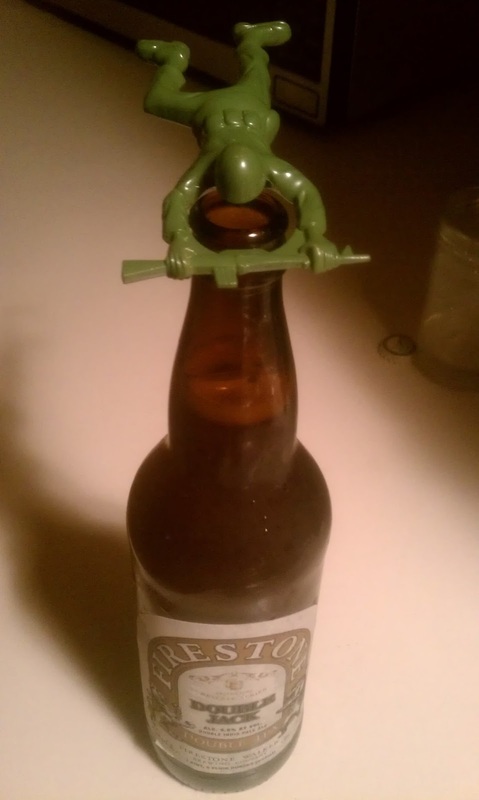 It's a green army man. Besides looking cool there's enough heft to it to be a hand-held weapon, especially if you lead with the pointy end of the gun. You could probably poke an eye out with it. What's most amazing is that this tough, rock solid guy will also pry the cap off your beer bottle with a metal kiss so slight it leaves just the tiniest of nicks. If I've sold you on it, you can get your own here. 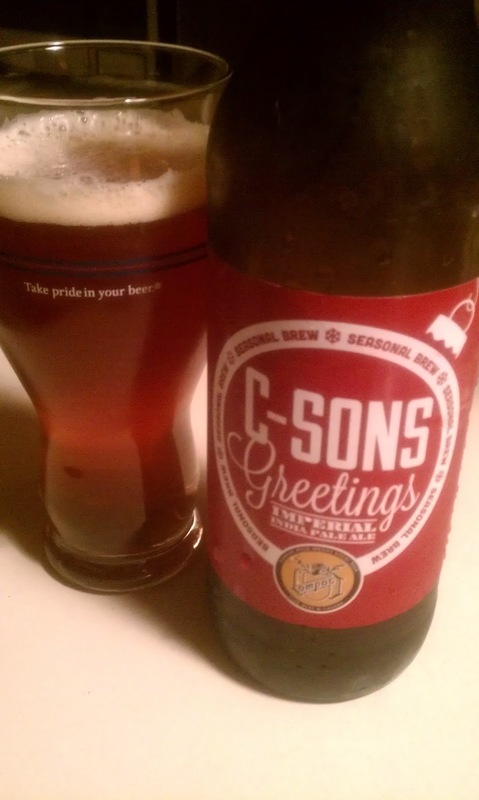 Thanks go out to @BeerBrewin for bringing this awesome opener to our attention! Some bottle caps are plain, some are utilitarian in design, while others are unique and distinctive to a degree that at a glance one is able to recognize the brewery and/or specific beer. Those in the latter category, like the labels and artwork on some bottles, are great marketing tools. But once the bottle has been recognized, purchased and the time comes to drink the beer most bottle caps are simply pried off and tossed aside. That is unless the person prying the cap off has a future crafty/artistic project in mind. One application that I've seen with increasing regularity is using the bottle caps to create interesting bar or table tops. 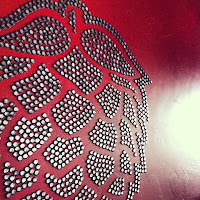 Both Saraveza Bottle Shop & Pasty Tavern and Occidental Brewing have done this and I never fail to take some time looking over the bottle caps in front of me whenever I visit. Another use is for jewelry. 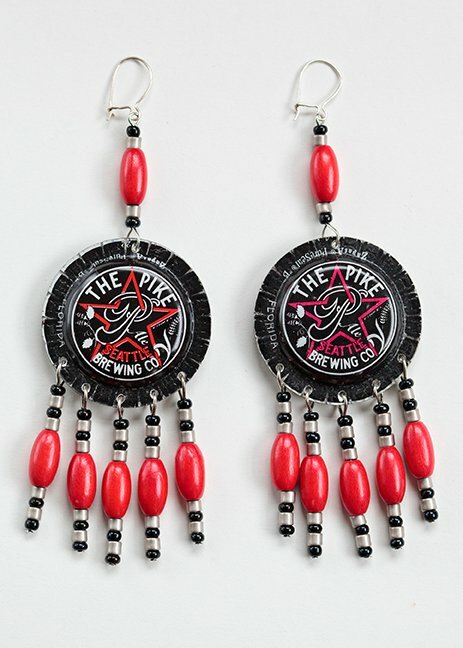 Beer Babes Bottle Cap Art makes very cool earrings out of bottle caps - ones they've collected or you can supply your own. I currently have two pairs and can't wait to have the next pair made. A third use is to make a piece of wall art. 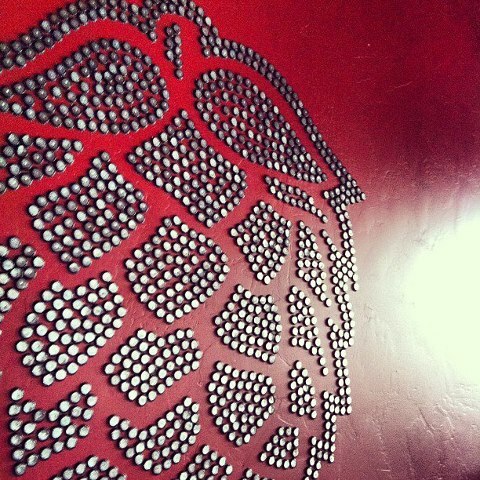 Double Mountain Brewery & Taproom in Hood River recently posted a picture of the wall art version of their logo they crafted out of bottle caps. If you're a bottle cap saver like I am, regardless of whatever those bottle caps might be used for in the future, prying them off with minimal damage is the best policy. I was given the heads up about how to do this by the Beer Babes. Go to Home Depot or your favorite home improvement/hardware store and pick up one of these. I swear it'll be the best $.50 you've spent in a long time, or possibly ever. 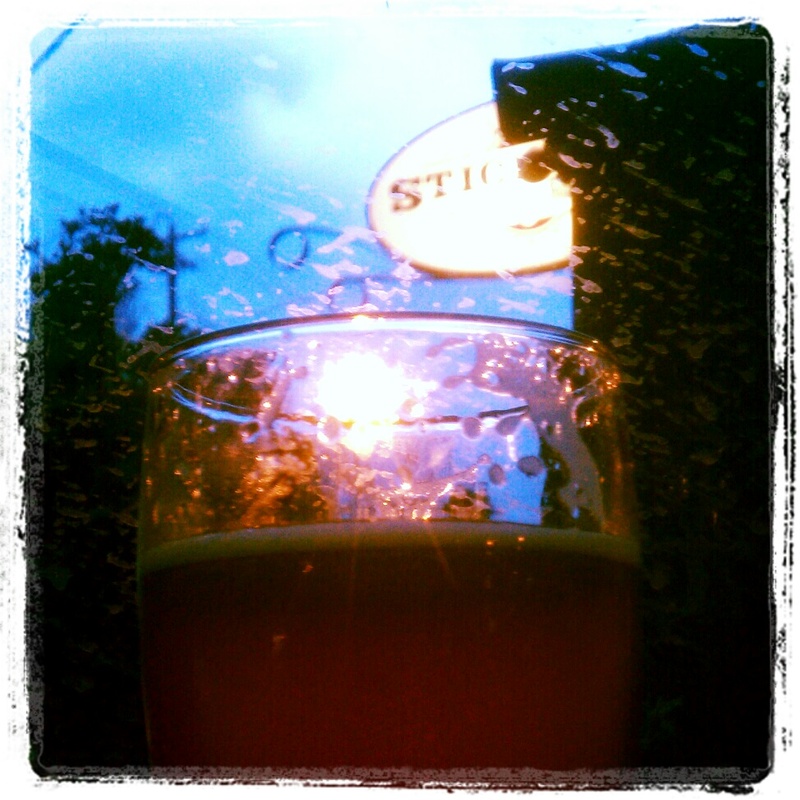 Tuesday night we checked out the interestingly named, relatively new brewery in Lake Oswego, Stickmen Brewery & Skewery. With so many great places much closer to home I have to congratulate us on making it there while they can still be called new. We were tipped off that parking in the area would be difficult so we parked a couple of blocks north and walked down State Street/Hwy 43. Our plan turned out to be a good one as the low building next to Lake Twin Theater had only a small sign to identify it. We could have easily driven by multiple times before we had actually found it. Inside we found our friend had arrived a few minutes before us and secured a table in a large alcove of the bar. The first order of business was of course to order a beer. Of the 13 taps they unfortunately only had one house-brewed beer, Saison, which Mag took one for the team and ordered. He declared it very Saison-y, which I agreed with, meaning that it was most certainly not something I liked. For Saison fans, it might be just the thing. 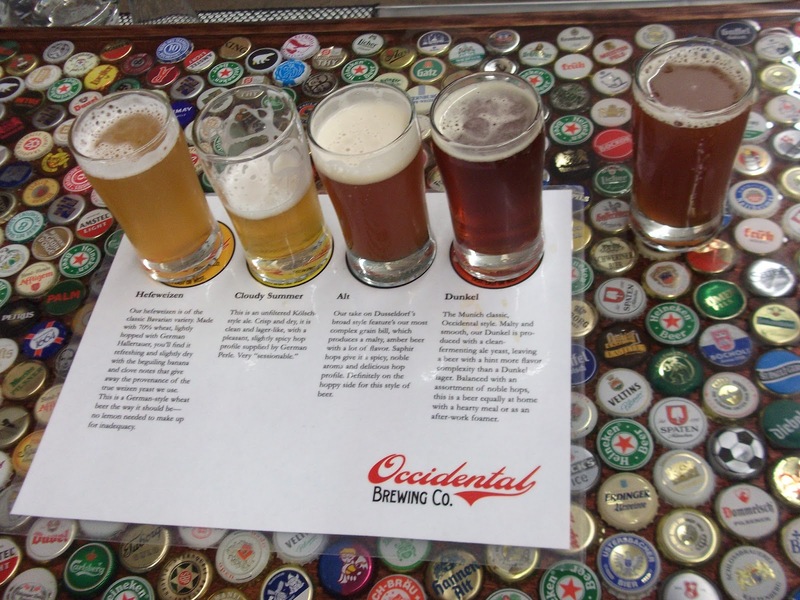 The rest of the taps offered a thoughtful selection of styles from primarily Oregon breweries. Flat bread piled high with toppings. With "skewery" as part of their name we knew our food order would have to include some of their skewers. The handful of skewers we ordered were hit and miss but both the fries and flat bread were clear, delicious winners. While their menu is mostly skewers and small plate items they also offer an assortment of salads, sandwiches, burgers and entrees. Being in Lake Oswego it is unlikely Stickmen will become a regular haunt but I'd like to go back when they have a more of their beers available. If that isn't until summer, well then, perhaps I'll be able to find myself a seat on their patio. It snugs up to the lake and will likely be quite popular in the summer. 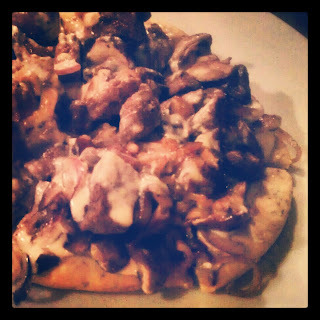 If you're in the area stop in, have a beer, the flat bread and decide for yourself. No Beer or Only Beer? This time of year there's a lot of talk losing weight. For those of us that enjoy beer the fact is that beer does indeed contain calories, as much as we'd like the opposite to be true. That means one way or another we have to find a way to combat those delicious calories. Going on a beer fast, for a week or two or maybe even a month is something some of my beer friends do on an annual basis. As I understand it, a beer fast isn't entirely a weight loss strategy. It also has to do with a kind of recalibrating of the body and the taste buds. Certainly the lack of liquid calories adds up and for those on multi-week beer fasts I suspect a few pounds do slip off in the process. I'm neither advocating nor dismissing a beer fast. I understand the theory behind it and applaud anyone who can achieve their goals. 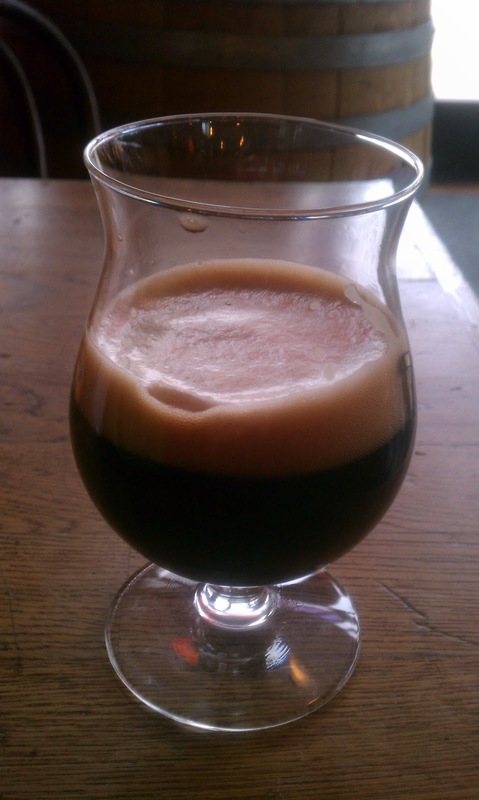 At present a beer fast is not in my future; I'll take others' words for the fact that it works for them. 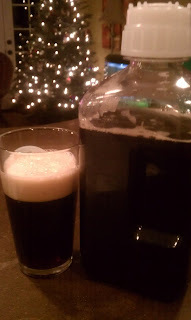 Going to the polar opposite of a beer fast, you may remember hearing the story two years ago about Jay Wilson of Iowa who went on a 46-day fast during which time he consumed only his own Illuminator Doppelbock. For those interested in the full story, check out his blog or grab his book, Diary of a Part-Time Monk. The quick and dirty story is that he had a great employer who was on board with the project, he did the liquid fast under medical supervision and due to his lack of solid calories, lost quite a bit of weight. I can't say I'm interested in trying either a beer fast or a beer only diet but if I had to choose I might lean slightly toward the latter. How about you? Have you done either? If you had to do one, which one would you choose? Turning the corner to a new year means resolutions for many people. Not me. I've never been one to make them probably because I know that they would be short lived and then I'd just end up being disappointed in myself. That's not to say that I don't set goals but they're not of the "this year" variety. Plus, coming up with meaningful resolutions that one has a chance of carrying out is a tall order after a long night of revelry. 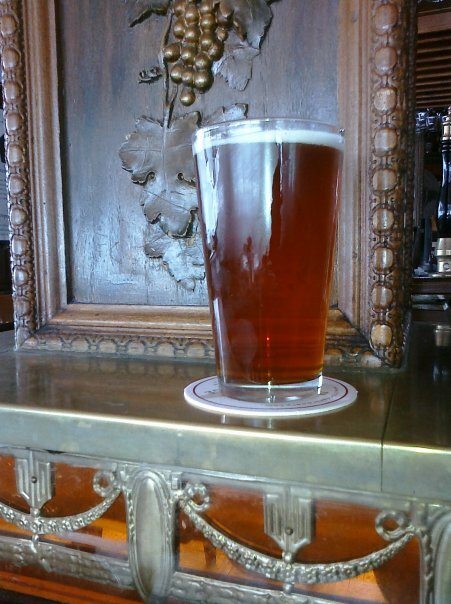 That being said, one of the beer related things I'd like to accomplish this year (see, no use of the word "resolution") is to provide you, my lovely readers, with content on a more regular basis. We started the blog back in 2007 with the idea of amusing ourselves and a handful of our friends. That year, or rather that half year, since we stared in May, we churned out 37 posts. We hit a peak in 2008 and kept a pretty steady run through 2009. 2010 was a big year but not in terms of beer and that was reflected by a huge decrease in posts. We sold our house in Minnesota, waved goodbye to our friends and moved halfway across the country to set up shop in Portland. The next year posts dropped off even further and I assumed the writing reins. Sometime last year I decided it was time to work on posting more often and although I haven't yet gotten to 2008 - 2009 posting frequency, it's been a damn sight more often than 2010. More doesn't mean better but hopefully it won't mean worse. I appreciate your reading of my musings, the comments you leave and in return maybe I provide some interesting or useful content from time to time. So here's to a great 2013 for all of us!